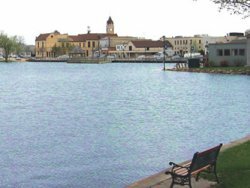 Beauty and Historic Charm A community of tranquil beauty, charm and history, Oconomowoc was once home to the famous and infamous land and beer barons of the Midwest. Today it is home to state-of-the-art business and industry and world-class meeting facilities. Strategically located in the heart of the Lake Country section of the beautiful Kettle Moraine, Oconomowoc has natural beauty that shines all year long. Oconomowoc offers the grace and style of country living perfectly blended with its metropolitan flavor as the midway point on the I-94 corridor between Milwaukee and Madison. 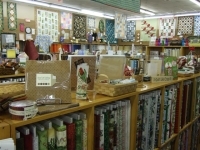 The unique cluster of shopping experiences in Oconomowoc are truly world class. The sights, sounds and aromas from all around will delight your senses. 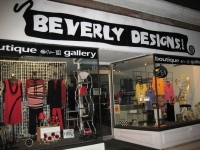 The thorough enjoyment of browsing our downtown is perfectly complimented by the quality and variety of businesses available. A stroll along the tree-lined streets of Oconomowoc seems like a trip back to the turn of the century. Many old restored mansions and houses of a time gone by dot the city and add to the special quality of life Oconomowoc enjoys. 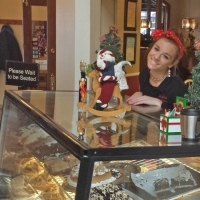 Oconomowoc can not only accommodate your business needs, but can also offer you and your employees an environment of unsurpassed beauty, excitement and quality of life. The Oconomowoc lifestyle is a 52-week vacation experience, and it’s extremely contagious! Explore the opportunites that Oconomowoc has to offer. In Oconomowoc, you’re sure to find everything you’re looking for and more, from small, specialty, artisan boutiques to a nearby premium outlet mall, to a modern lifestyle center atPabst Farms. If it’s recreation and outdoors you’re after, you’ll enjoy ourCity Beach and two beautiful lakes, Fowler and Lac La Belle, which meet in downtown Oconomowoc. • Ole Evinrude, an Oconomowoc resident who invented the boat motor in 1907. 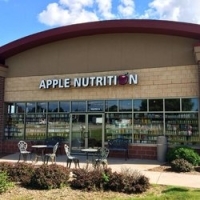 Apple Nutrition carries supplements, vitamins, natural foods and more. 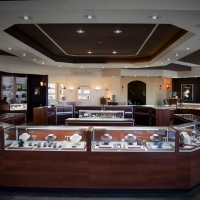 Barnes Jewelers offers its guests a unique and pleasant jewelry buying experience. Italian market and deli in downtown Oconomowoc.